The retrial of Dennis Oland for second-degree murder in the bludgeoning death of his multimillionaire father Richard Oland in Saint John more than seven years ago has been delayed by "an unexpected legal issue." Court of Queen's Bench Justice Terrence Morrison told the two jurors present Tuesday and the crowd gathered in the courtroom that more information will be made public in due course and to the extent the law allows. But the issue must be resolved by lawyers for both sides before the trial can begin, he said, adjourning the public session until Wednesday at 9:30 a.m. It's unclear if the trial will begin at that time. Court resumed around 11 a.m., behind locked doors with paper signs taped to the doors stating, "Closed/Fermé" and "In camera." The delay comes after Crown prosecutors and Oland's defence lawyers met in closed session at the Saint John Law Courts building much of the day Monday. "An unanticipated legal issue has arisen, which the law required ... to be dealt with in-camera," Morrison told reporters when he opened the courtroom briefly around 3 p.m. to explain the previously unscheduled 10 a.m. hearing. "In due course, the matter will become public, to the extent that the law allows," Morrison said without elaborating. Only two of the 16 jurors showed up on Tuesday because court staff were able to reach the others in advance and tell them they didn't need to attend, the judge said. He urged the two women to make sure court staff have their correct contact information, so they'll be able to advise them of any other delays or changes throughout the trial, which is scheduled to last about four months. Oland, 50, a financial adviser, is being retried after he successfully appealed his conviction in December 2015. The New Brunswick Court of Appeal overturned the jury's verdict in October 2016 and ordered a new trial, citing an error in the trial judge's instructions to the jury. 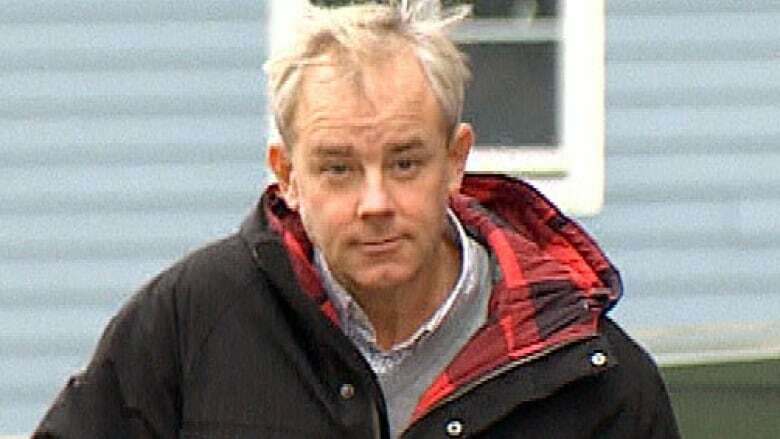 Oland, who has been free on bail since then, has again pleaded not guilty in the bludgeoning death of his 69-year-old father on or about July 6, 2011. He was alone Tuesday and dressed casually for the brief court appearance, sporting a sweater vest and khakis. His extended family has stood by him from the beginning and on Monday issued a joint statement, saying their faith in his innocence has "never wavered." "We wish to restate our steadfast support for Dennis and our faith that the judicial process will prove his innocence," says the statement signed by his mother Connie Oland, wife Lisa Andrik Oland, uncle Derek Oland — the victim's brother and executive chairman of Moosehead Breweries Ltd. — and aunt Jacqueline Oland. The statement, issued through family lawyer Bill Teed, goes on to say the family has endured an "unimaginable ordeal" since the elder Oland's death in 2011, compounded by the arrest and conviction of his only son. It concludes by thanking the "innumerable friends and strangers" who have expressed their "unfailing belief in Dennis' innocence." "We cannot adequately express how much this continuing support means to us." Morrison has been brought in from Fredericton to hear the high-profile case. A total of 16 jurors, nine women and seven men, were sworn in last week. They were selected from more than 1,000 prospective jurors who answered summonses to appear at Harbour Station, the city's largest arena, on Oct. 15. Oland's defence team consists of Toronto-based lawyers Alan Gold and Michael Lacy, as well as James McConnell, of Saint John. The Crown prosecutors handling the retrial are P.J. Veniot, Derek Weaver and Jill Knee. The Oland family owns Moosehead Breweries Limited, the oldest independently owned brewery in Canada. 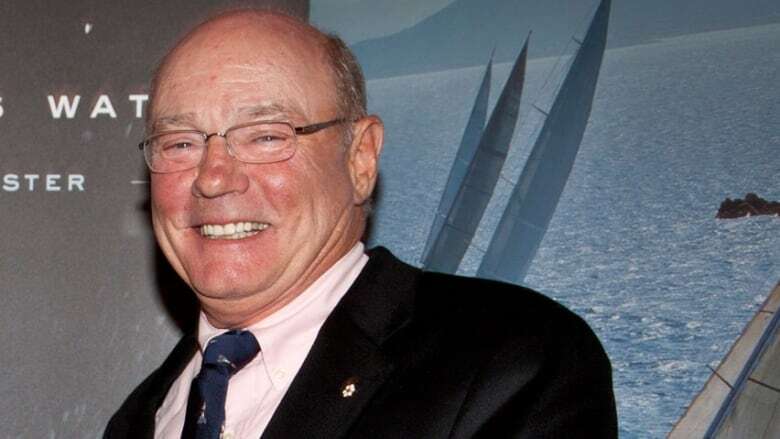 Richard Oland left the company in the 1980s, but was an accomplished businessman who was appointed an Officer of the Order of Canada for his efforts as an entrepreneur with a social conscience.